Behnam Tabrizi is a leading global business consultant, bestselling author, award-winning teacher, and a respected scholar. As an advisor to many Fortune 500 companies, he has worked with CEOs and senior executives in leading change and achieving breakthrough results. He has advised over thousands of leaders in over 20 industries on their organizational transformations, including IBM, GE, Aramark, Ciba Geigy, Hewlett Packard, Gap, Intel, LexisNexis, Honeywell, Genentech, Oracle, Starbucks, Applied Material, Gymboree, Cisco, Li & Fung, Haier, China Mobile, and Li Ning. He has also served as a senior advisor to the U.S. President’s transition team, and the President’s health and technology initiatives. Dr. Tabrizi is the author of four books on corporate transformation – the latest one, Rapid Transformation: A 90-day Plan for Fast and Effective Change, is dubbed by Harvard Business Press as the “most popular” book and has been translated into Chinese, Japanese, Spanish, Portuguese, Korean and Polish. 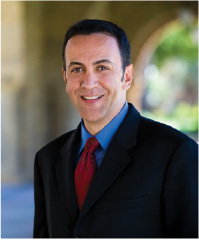 Tabrizi serves as a Consulting Professor in the Management Science and Engineering department at Stanford University where he received the Tau Beta Pi award, among over 200 Faculty members, and the Teacher of the year award in his department. He is a favorite among executive educators, has held positions at the Stanford Graduate School of Business as well as Harvard Business School, and has served as the Director of the Stanford mini-MBA executive program. Tabrizi received B.S. in Computer Engineering from the University of Kansas, M.S. in Electrical and Computer Engineering from the University of Illinois, Urbana, and a PhD in Strategy, Organizations, and Technology Management from Stanford University. 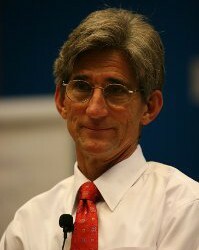 Tom Kosnik is an internationally known expert in global marketing strategy. A former Assistant Professor at Harvard Business School 1985-89, Tom is currently a Fenwick and West Consulting Professor at the Stanford Management Science & Engineering Department. From 2004-2006, he was a managing director of TCG Advisors and from 1972-75, he served as an infantry officer in the U.S. Marine Corps, including one year on a peacekeeping mission in Asia. He is an International Advisor for National University of Singapore Entrepreneurship Centre, and teaches or has taught university and executive courses in Global Entrepreneurial Marketing, Strategy for Technology Companies, and New Venture Creation. He has coached hundreds of top leaders and teams around the world. Past and current clients include: American Management Systems; Apple Computer; Applied Materials; China Mobile Communications Corporation; Clean Tech Open; Cypress Semiconductor; Cummins Engine; Electronic Arts; Ernst & Young; National University of Singapore Entrepreneurship Centre; HP China; IBM; Microsoft; Nuance Communications; Younoodle, Yunnan Tin Company, and over 50 startups. Tom has a Ph.D. from the Stanford Graduate School of Business (1986), an MBA from the University of Virginia (1977), and a BA in History and International Relations from Duke University (1972). Gerald Wright is a senior executive leader with extensive international general management experience of global diversified businesses and a proven track record. He has held positions in Argentina, Germany, the United States and Canada. Gerald has served on many Boards of Directors and as Chairman of the Audit Committees, of private, public and non-for-profit organizations in the United States and Canada. He is currently a Sales Executive at the Hewlett Packard Company in Palo Alto, California. Gerald has developed and successfully executed major global Sales transformation programs. Also, he has maintained strong board level customer relationships and developed strategic initiatives that have supported business growth. 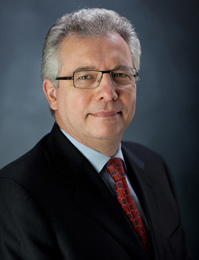 Prior to this, Gerald was EVP & CFO of Siemens Canada Limited. He led the company thru a period of unprecedented and sustained profitable growth. Before that, Gerald held the position of EVP & CFO of Siemens Corporation in the United States. In Siemens he developed a governance model for all operating companies, introduced risk management, rolled out the Financial Audit organization, created the Treasury function and instituted a best-in-class asset management approach to the pension and savings plan multi-billion dollar portfolio, optimized the real estate holdings, pooled purchasing activities that reduced the number of vendors and cost, and consolidated and off-shored services while increasing efficiency and effectiveness. He also completed numerous acquisitions and divestitures and initiated new business ventures that led to significant business growth. Gerald joined Siemens as a trainee in Buenos Aires, Argentina, and transferred to Germany to complete his education. Gerald was granted the ICD.D designation by the Institute of Corporate Directors after completing the Directors Education Program at the Rotman School of Management of the University of Toronto, Canada. He has been a Faculty Member of the Stanford University Advanced Project Management Program since 2008 and is fluent in English, Spanish and German. Cyrous Jame joined Dr. Tabrizi’s team from Intrepid Capital Management, an investment firm in New York City, where he was responsible for investing in publicly traded software and services companies. At Intrepid, Jame regularly met with more than two dozen CEOs and senior executives of his portfolio companies to discuss strategy and operational issues facing them. Prior to Intrepid, Jame worked in some of the biggest enterprise application software companies, such as SAP, PeopleSoft, Inc., and Siebel Systems where he took part in strategy, product development, and sales aspects of the software business. Jame brings his insight in strategy, financial analysis of the transformation process, and the relevant impact on the valuation of the enterprise. 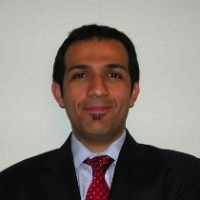 Jame received his M.S from Stanford University in Management where he worked on the benchmarking and metrics analysis of the original 500 companies in Dr. Tabrizi’s Rapid Transformation study. He double majored in Applied Mathematics and Computer Science from UC Berkeley. He is currently a Level III CFA Candidate.